Society's Face of the year - 1994 most successful super model and 6'0" tall. Arjun Rampal was born on November 26th. He was discovered in a discotheque by ace designer Rohit Bal. His cute chiseled face makes him a great hit with women. Now Arjun concentrating more on movies. Pyaar Ishq Aur Mohabbat was Arjun's forgettable debut vehicle and his presence went noticed. Following up with Deewanapan, Moksh etc movies with opposite popular bollywood actresses Manisha Koirala and Diya Mirza and others. Marriage happened to him with Miss India super model Mehr Jessia at the right time and marriage has had positive effect on his life. He describes himself as Cool and casual. He wear clothes that are cool. He is not particular of brands but buy a lot of designer stuff. His suits and shirt are of Armani. He is having 80 pairs of sun glasses. He is very weight conscious and always into fitness. His hair cut changes from film to film according to the character he portray in films. He love his family very much they are always a priority for him. He is having a daughter also. Arjun Rampal is struggling here to stay. Arjun Rampal will also feature in Subhash Ghai's next romantic project opposite Kareena Kapoor. 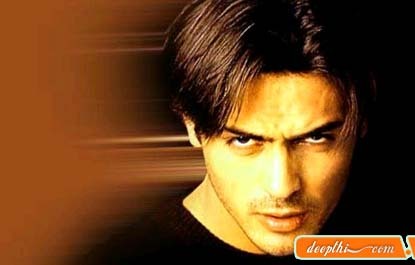 Yakeen ( Arjun Rampal, Priyanka Chopra), Elaan ( Arjun Rampal, John Abraham, Rahul Khanna, Amisha Patel, Lara Dutta), Vaada ( Arjun Rampal, Amisha Patel, Zayed Khan), Asambhav ( Arjun Rampal, Naseeruddin Shah, Priyanka Chopra), Dil Ka Rishta ( Aishwarya Rai, Arjun Rampal, Priyanshu Chatterjee), Dil Hai Tumhara ( Preity Zinta, Mahima Chaudhary, Arjun Rampal), Aankhen ( Amitabh Bachchan, Akshay Kumar, Arjun Rampal, Sushmita Sen, Paresh Rawal), Moksha ( Arjun Rampal, Manisha Koirala), Pyar, Ishq aur Mohabbat ( Sunil Shetty, Aftab Shivdasani, Arjun Rampal, Kirti Reddy).